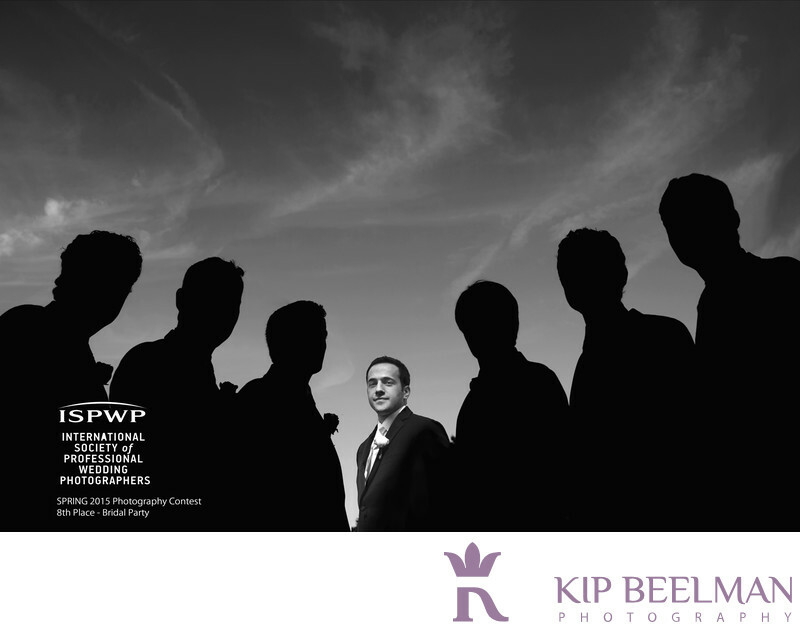 This award winning image features a unique composition of the groomsmen from a bridal party at the Spring Valley Country Club in Sharon, MA. As I was finding a spot to place the groomsmen, I noticed how tall trees and the shade they cast had a very distinct edge. I asked the groom to take a step back so he was in the sun and the groomsmen to all step forward so they were in the shade - The result it an interesting and unique composition that harnesses form and rhythm. It is an honor and achievement to have the image place 8th in the Bridal Party category of the ISPWP's 2015 Spring Photo Contest. The ISPWP is an international organization of the worlds best wedding photographers. Location: The information you have attempted to copy is protected by International and Federal Copyright Laws and Treaties. Any unauthorized use of this copyrighted material is strictly prohibited..